You are currently browsing the category archive for the ‘muffins’ category. This week’s challenge was hosted by Chaya of My Sweet and Savory. 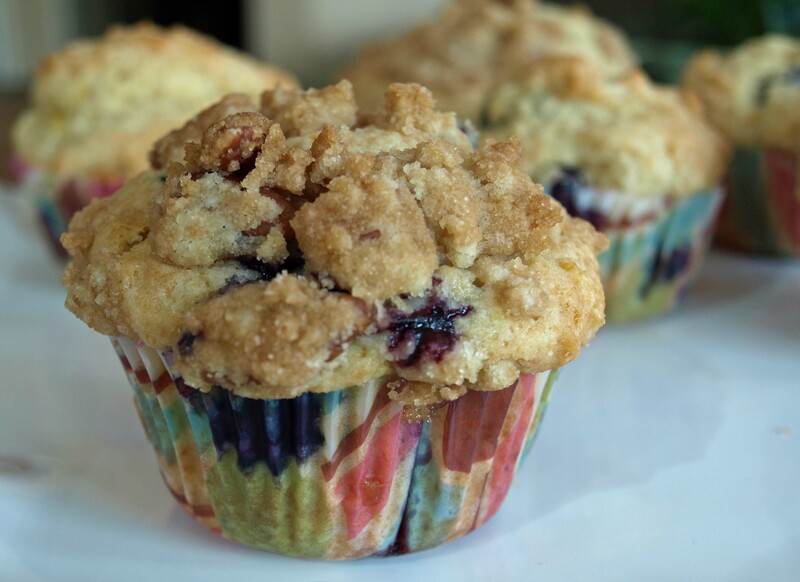 Chaya chose Orange Blueberry Muffins with Pecan Crumble. 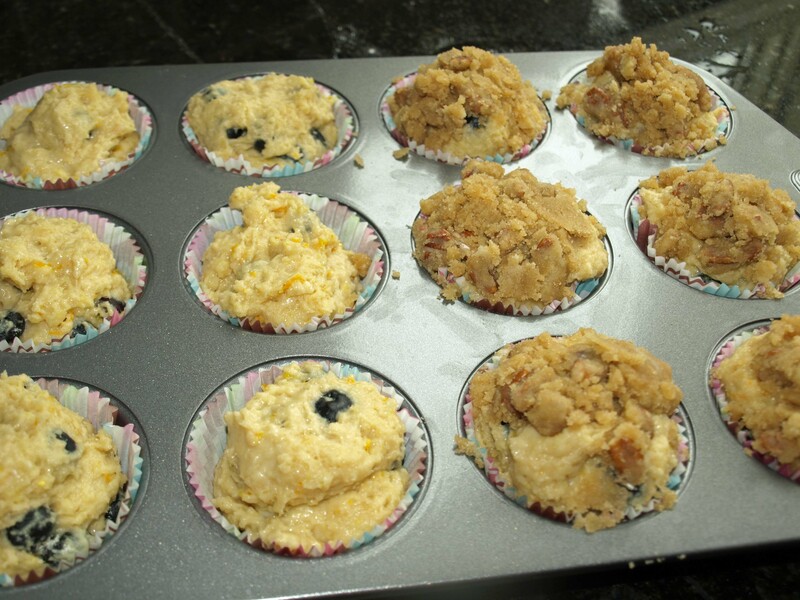 Melissa’s book includes a basic sweet muffin recipe and several variations to that recipe – the orange blueberry muffins are just one of several variations. Blueberry muffins are a classic and the addition of orange zest (which you rub into the flour mixture to release all the oils, something I have never heard of doing) really comes through. The pecan crumble was out of this world. I like a muffin with a topping! Of course, since I have nut haters in my family I only made 1/2 the muffins with the topping and those without it were still good. This was a great recipe and I love the versatility. There is also a savory muffin recipe and several interesting pairings that go along with that in the book (like bosc pear and blue cheese – yum!). The muffins came together quickly – they could easily be made the morning of a brunch. My only complaint (and I generally have many…ask my family and friends!) is that I chose to make these muffins on the cloudiest/rainiest/darkest day we’ve had in a long time so my pictures are terrible! To get the recipe go to Chaya’s blog or buy the book! To see what the other fabulous SMS bakers did this week check out their sites. Thanks Chaya for giving me my go-to muffin recipe!